An original and contemporary interpretation of ‘Old North’ magic and culture, drawn from experiences within the Icelandic landscape and presented as a series of abstract, ethereal visual spells. 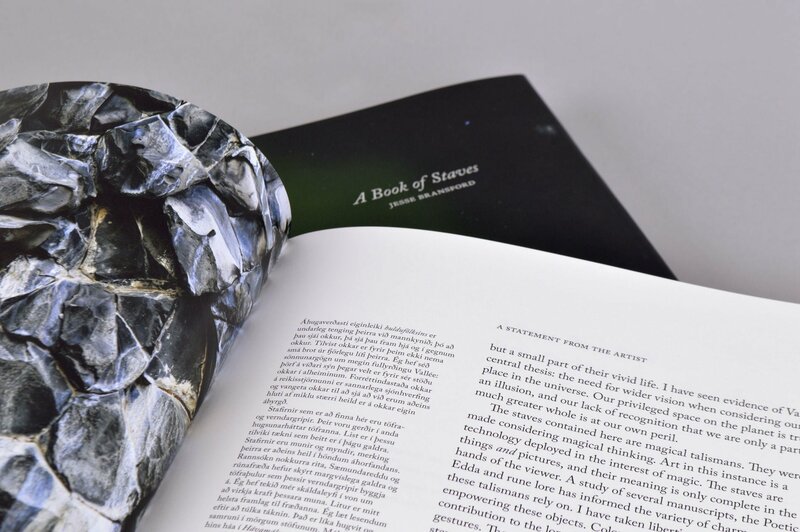 Icelandic folk magic and magical texts — so-called low and high magic – combine as sources and inspiration for A Book of Staves by Jesse Bransford. Within we are offered a series of pencil and watercolour drawings that describe the natural world as the artist experienced it in his travels in the Icelandic landscape; the works are spiritual aspirations as expressed through his art. Creation as magical working is not new to Bransford. For years he worked with Agrippa’s famous texts, then shamanic magic and pantheistic folk magic. But these new works mark a departure by finding the intimate relationship between the creation of art and the working of magic: he calls these Icelandic works “spells,” not paintings. A major collaborative dreamwork project in 2014 brought unrecognisable magical alphabets and languages to his waking consciousness. The “spells” continue the exploration of the power of unreadable text in a magical and artistic context, exploring the liminal space of an inaccessible logic. 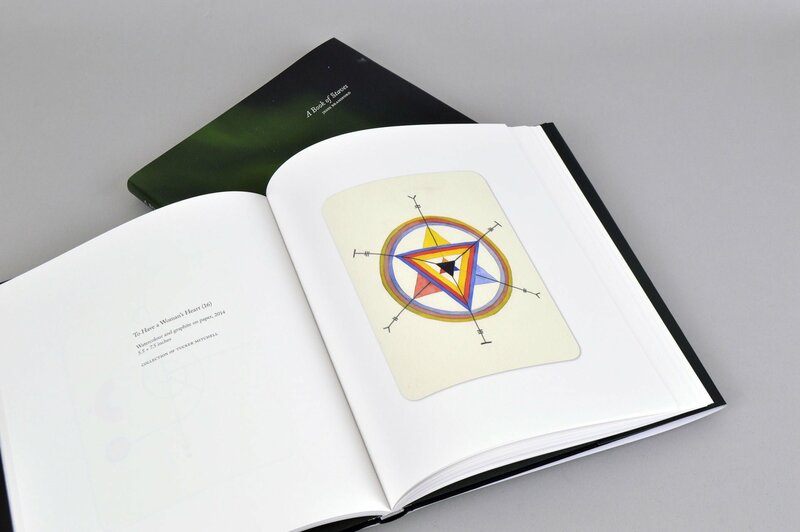 As visual expressions of magical manuscripts, the Poetic Edda, and runic lore, they are an original and contemporary interpretation of the magical Icelandic heritage. The Sayings of the High One in the Hávamál, spells which were probably spoken, are now talismans invented by the artist by intuiting the essence of the charms. 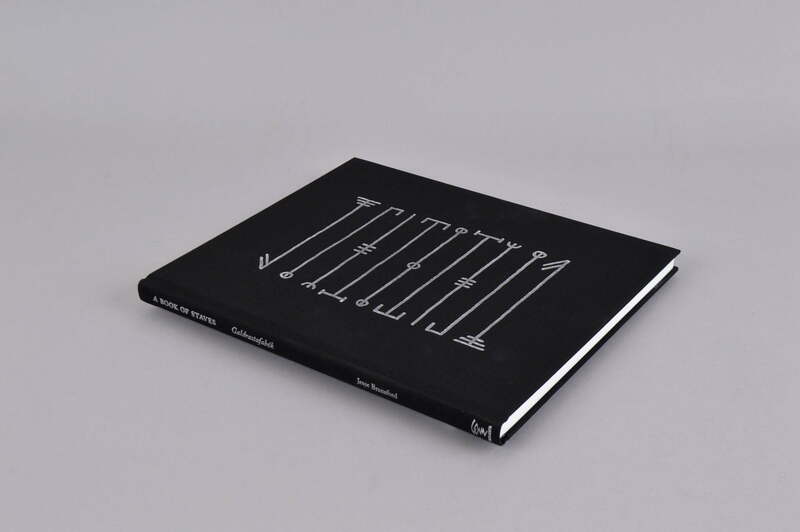 “I wanted to be as involved in the texts as possible, to work in the tradition, and to contribute to it,” says Bransford, noting the development of A Book of Staves. The artist’s stave works are at once aesthetic traps, sigil spells and web-like cosmic maps, like ‘Web of Wyrd’ that is spun by the three Wyrd Sisters and maps out the fates of all things. – Robert J. Wallis. The artist describes his “spells” as having a hesitation and a delicacy resulting from the unforgiving medium of watercolour. They are direct manifestations of Iceland’s land, using local well water and on a scale congruent with traveling in outdoor sacred spaces. 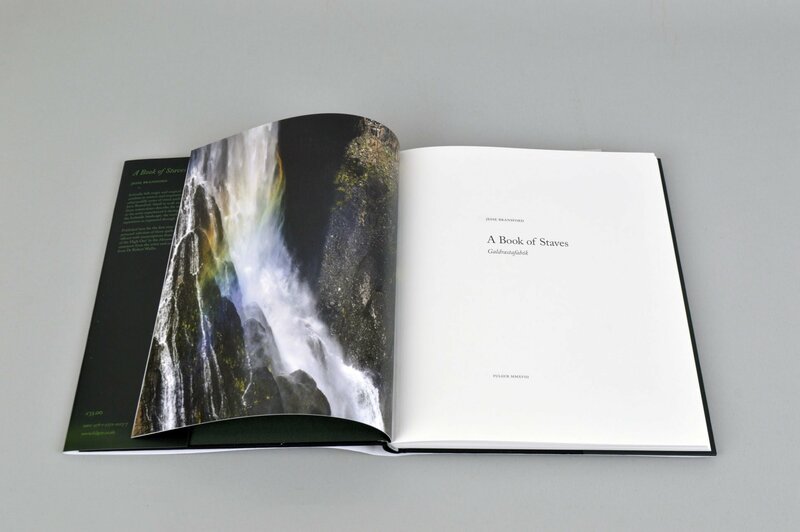 Bransford is highly aware of the power of colour (he teaches colour theory), and describes it as being a “synthesis of intuition and intellect. There is often too much attempt to make sense of colour. But the magic lies in its being visceral, pleasurable, and mysterious; not verbal, not logical, and yet holding an internal logic.” The colour use in his “spells” takes on a language of its own, born of a deep engagement with the material. 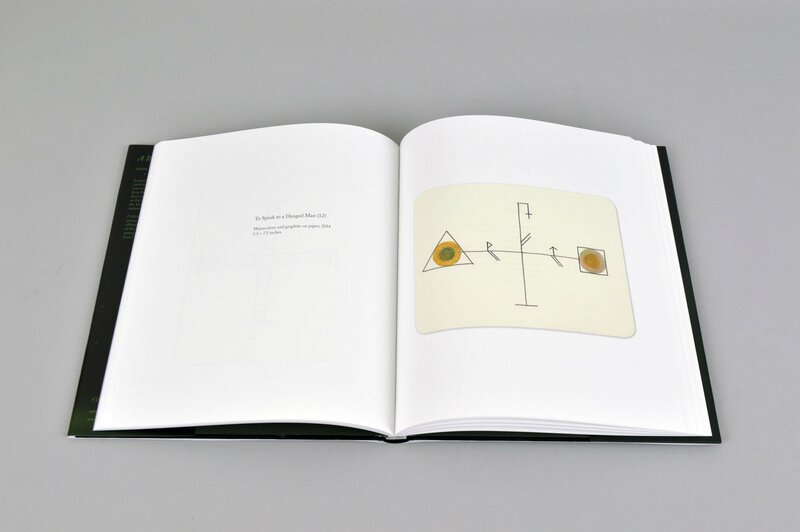 The works presented in A Book of Staves are original and powerful magical emblems created by the artist as naturalist. 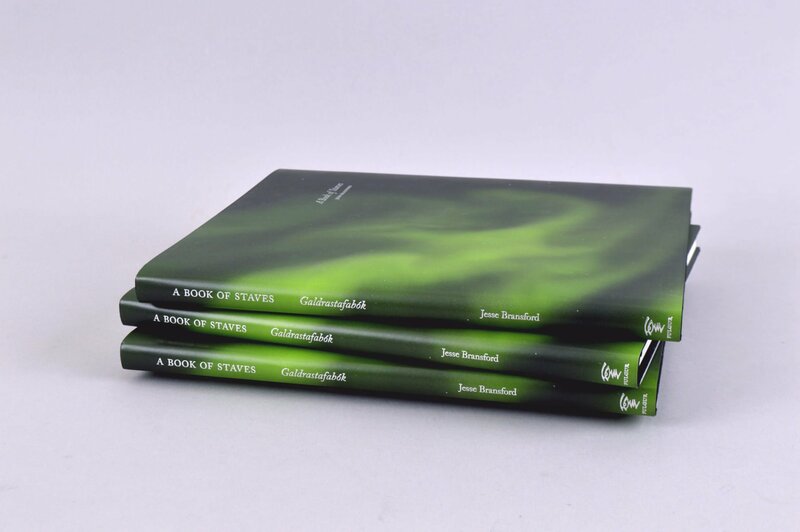 They are prefaced with a statement from the artist and an introduction by Robert J. Wallis, both offered in English with a parallel text in Icelandic. The images are further augmented with liberal quotations from Carolyne Larrington’s much lauded translation of the Hávamál. These texts are presented in both Icelandic and English.